I notice that whenever I present my games to game developers, often the first question is, “But how do you plan to monetize this?” From a business point of view, it is indeed a very important question. However, from an artistic point of view, I think this kills a lot of visions. This can also bring back the question of whether your primary goal is to make money or to give people a way to have fun. Many of our games also have the added goal of connecting people (below at the newly opened Game Science Center here in Berlin). With our first game, Word Race, you only need one device, but you actually have to get at least four people together to play (because you need at least two teams of two people each). 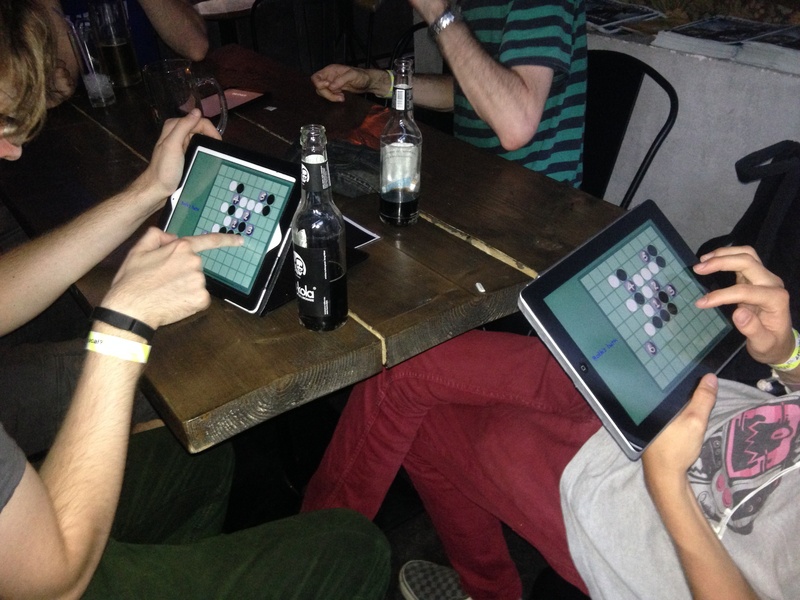 Our latest game, Kvin, also requires two players for the best experience. 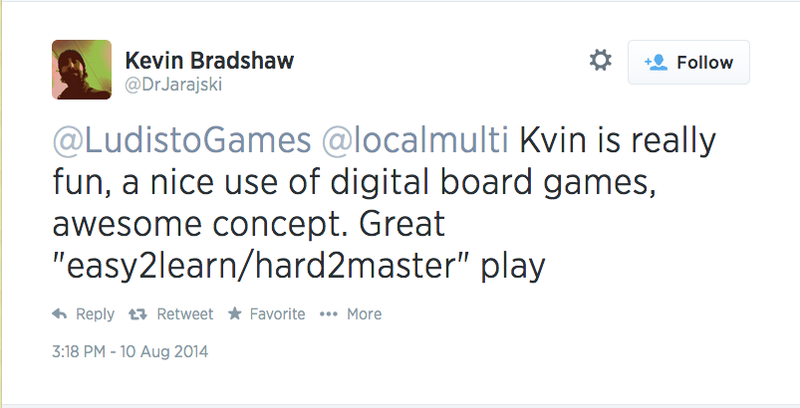 Even though Kvin is an abstract board game, there’s a connection that happens when both players play on the same space in the game, effectively blocking each other that turn, so it makes sense that the most amusing interactions come from playing in the same room, while each player is hiding their screen from their opponent. 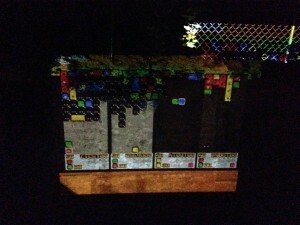 Each of our games start out by heavily innovating on a classic game and adapting it to digital media. 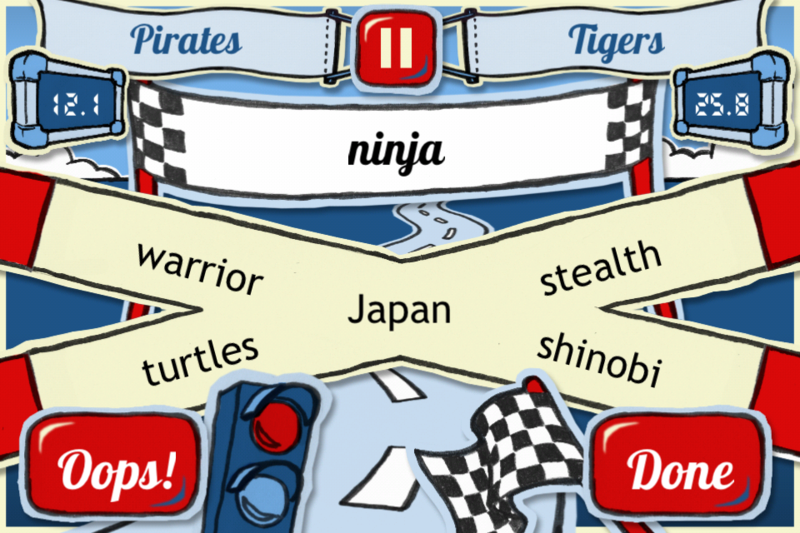 Word Race took the party game of Taboo and made each word a race in itself, instead of having the same player continually describe words for a limited amount of time, which was required due to limited technology before smartphones. So, we felt a racing theme also matched this new game mechanic. If you want to give it a try, you can download Word Race on the Apple App Store. While we were looking at the OUYA market, we saw that there weren’t many card/board games for it and decided to fill that hole in the market. The game that I felt could be most easily adapted to the TV was Poker Solitaire, because it just required choosing which space on a 5×5 grid to place your card. But even here, we didn’t stop innovating. We noticed that almost all Poker Solitaire games wait until the end of the game to give you your score, so we decided to update the score with every placed card to give the player instant gratification. Also, since we know where the last card will go, we automatically place the last card, speeding up the game a bit. To see for yourself, you can play Poker Solitaire on the Apple App Store or on the OUYA Discover Store. Our latest abstract board game, Kvin, innovates on the American game of Pente (1977), which in turn innovated on the Japanese game of Ninuki-Renju (1923), which innovated on the old Japanese five-in-a-row classic Renju (played since 700, name coined in 1899). I’ve noticed in all of these games that the first player has a big advantage, which is usually compensated for using very complicated inelegant initial placement rules. Due to the design influence of New Rules for Classic Games, I decided to try the game with simultaneous play (but not a speed game), which created a very interesting experience. 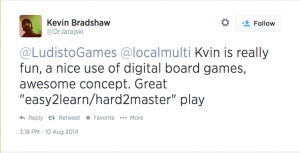 In a nutshell, Kvin is a game with simultaneous play, in which players try to get five pieces in-a-row and can also capture stones to help accomplish that goal. Adding simultaneous play changes the game’s nature considerably. First of all, no one can ever be 100% sure they will win on the next turn, thus why Kvin doesn’t have a “resign” button. In a typical five-in-a-row game, if someone gets an “open four” (that is four pieces in a row with an empty space on both sides), they know they’ve won, since they can’t be blocked on both sides. However, in Kvin, this means they have a 50% chance of winning, something similar to exciting final showdowns in Texas Hold’em Poker with both players betting all their chips with hands like 22 vs AK. Simultaneous play also introduces neutral pieces when both players choose to play in the same place. This allowed me to introduce a new rule that when anyone makes a capture, that person immediate gains possession of the first neutral piece. 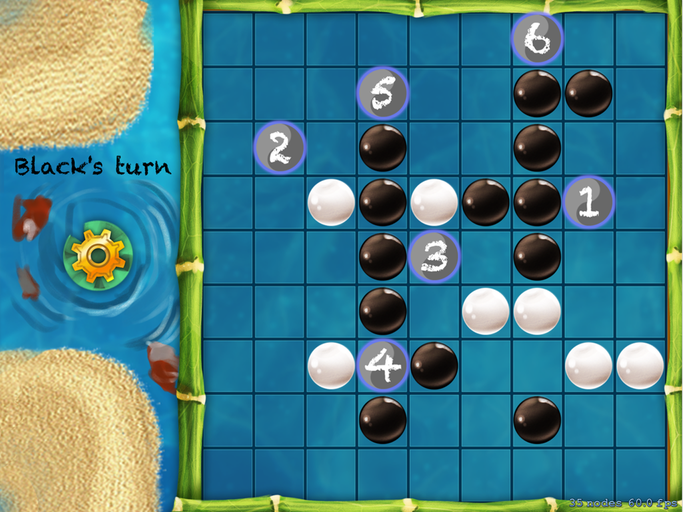 Since these neutral pieces are in important places, that incentives players to consider and weigh two options for victory: capturing pieces to gain control of neutral stones and just getting five pieces in a row. I find this adds a new dimension to the play. Also, games tend to last 1-10 minutes, so you can easily fit several games into one session. Pay to win: not with us! With all of our games, we have people suggesting ways to make money on the game, which we think feel “evil.” We definitely don’t want to create a pay-to-win game and we think the core mechanics behind these classic games need to be preserved. So, I hope our passion will pay off in the long run as we entertain people around the world with our games! To stay up to date on what we’re doing, please like us on Facebook or follow us on Twitter. We were present at Join playtesting our new innovative strategic board game. 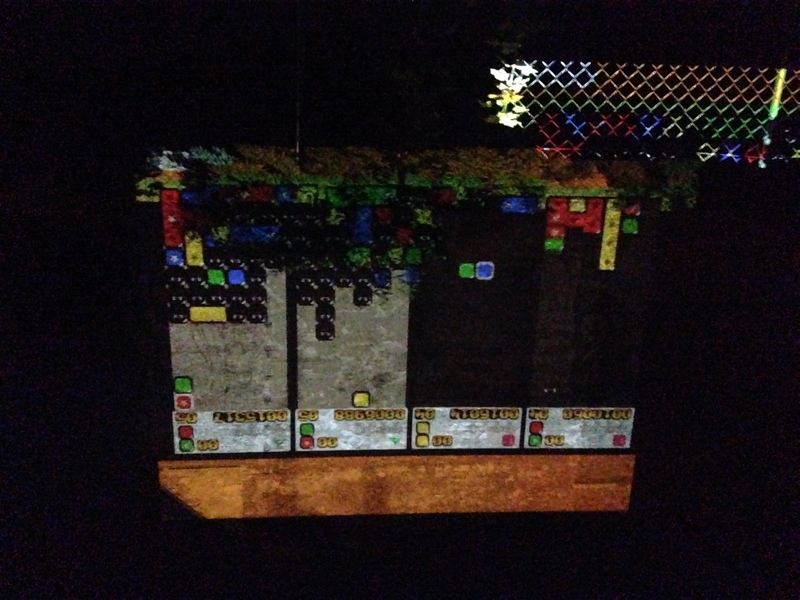 The event itself was a day full of amazing talks from local multiplayer movers and shakers all over Europe, then some gaming and finally a great party in the streets playing games on a factory wall! Playing with a huge projector on the wall! 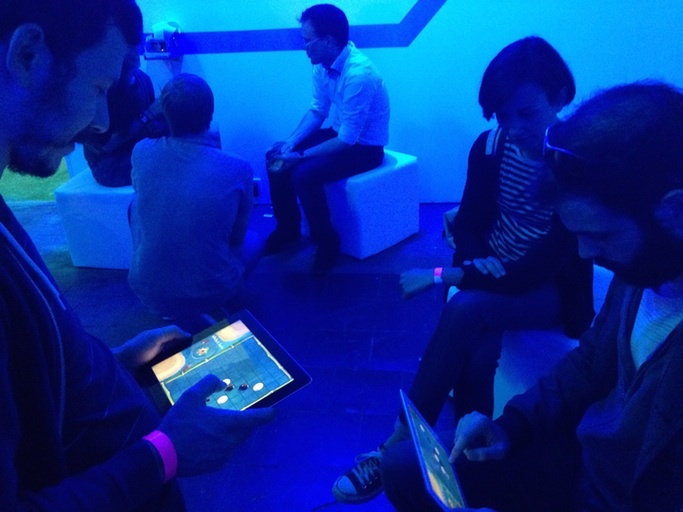 As for Ludisto’s perspective, it was a great chance to see others play our game and get their feedback. And man, did we get some great feedback! Even though we’re only in the second week of development, people already love our game. Although it looks like a simple five-in-a-row game, players play at the same time (but it’s not a speed game). There are also opportunities to make some devious captures and the simultaneous play adds a completely new twist to a classic game. In any case, we looking forward to looking at all the feedback we got to make the experience even better at our next playtest! We love our Twitter followers! Stay up-to-date on Kvin’s progress on Facebook, Twitter and YouTube. Poker Solitaire releases on iPhone/iPad today! Today, Poker Solitaire goes live around the world in the Apple App Store! Also see our launch posts on Facebook and Twitter. If you could share our posts, we’d greatly appreciate it. Please try it out, we’d love to hear what you think! 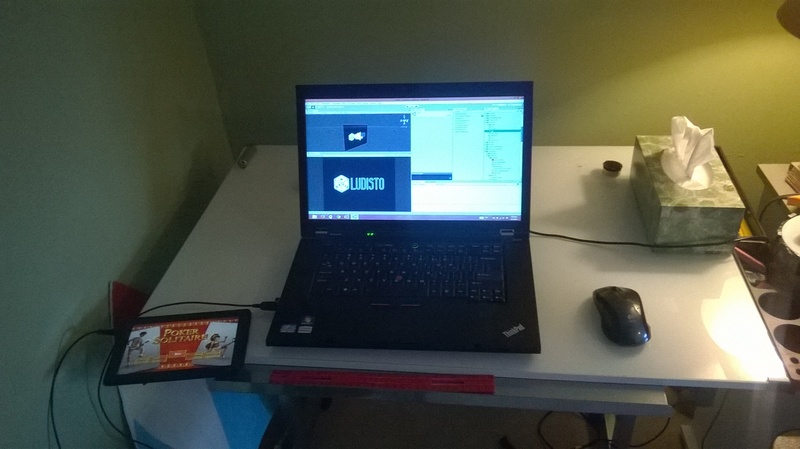 I’ve been working remotely for Ludisto the past few months porting Poker Solitaire to iOS, Android, and Windows Phone 8. 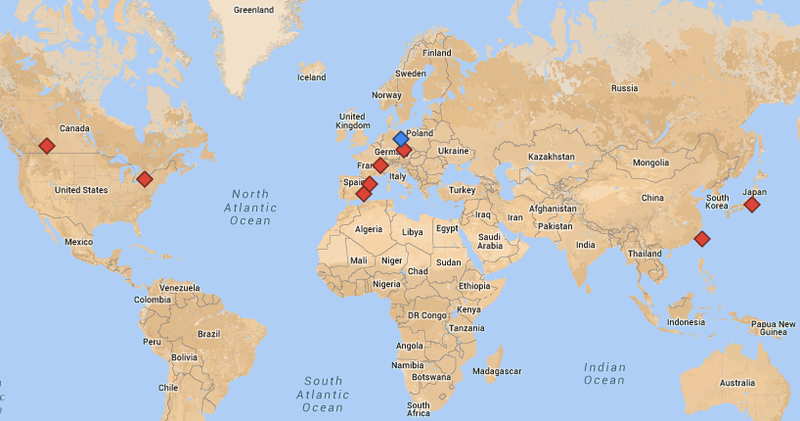 I’ve been doing development remotely from upstate New York in the USA, and even though the rest of our current team members live in Berlin (Germany), we don’t have a centralized office location. Though working from different locations in different time zones comes with some challenges, it’s been working out very well for us! We use Trello for general project management, along with a handful of Google docs in a shared folder. Trello allows us to see what other teammates are working on and what the state of the project is at any point in time. It’s really easy to use while also being robust enough to manage our tasks. If we were a much larger team or working on a significantly larger project, it might not scale well to that size, but for our purposes it works fantastically. We leave Skype logged in while we’re working so others can reach us easily, and also to socialize and chat. Chuck (our CEO and awesome programmer) and I meet each weekday over Skype to chat about the project. In a traditional business environment, this would normally be a stereotypical example of a bad, time-wasting meeting: we start off going over anything related to the project that we need to chat about, but we eventually devolve into tangential, unrelated topics. However, given we don’t share an office or even a time zone, we’ve found it’s a great chance to socialize with our teammates. We’re usually still being moderately productive while chatting, but having some face-to-face time to just sit down and hang out makes a world of difference both in building team camaraderie and in keeping us from going stir crazy due to working from home. Originally, our goal was just a quick “stand-up” covering what we did the day before and our upcoming tasks, but it has evolved into something a lot different. With a 6-hour time difference, it ends up being in the morning for me and the afternoon for him. If a task in Trello is ever unclear, or there’s an issue someone wants to address, it’ll get resolved within no more than a day. We also log into Skype while working, but as we work somewhat-inconsistent hours with a 6-hour time difference, having a set time where we’ll both be online helps a lot. The meetings are also very helpful for figuring out what’s the highest priority at the moment; it’s easy to stare at a big to-do list and have no idea where to start. As the meetings are a bit more friendly and involved than a traditional stand-up, I also feel a greater sense of accountability when it comes to getting work done. One of the big challenges with working remotely is keeping yourself motivated and focused. Even when you get into a rhythm of working hard every day for weeks straight, it’s easy to fall out of the habit in only a day or two. While this also happens to an extent in a traditional office environment, working flexible hours from your home (possibly even your bedroom!) requires a lot more discipline. Different solutions work for different people, but I can talk a bit about what works for me. I want to note that our daily meetings have been, by far, the most useful tool in keeping me on task. I have trouble if there’s no structure to my schedule, but blocking out a consistent 9-5 work schedule was overly rigid and removed the perk of flexible work hours. Having that short block of time every day spent in our meeting adds just enough structure to keep me focused without being overly rigid. It’s important to separate “work time” and “not-work time”. I track my hours spent working on the project, so there’s a distinct divide between time clocked in and clocked out. If it’s not worth the short time it takes to log into Freshbooks/Toggl/whatever you use and start that timer, it can wait. Don’t overwork yourself; make sure you can say “I’m not working right now” and let that lengthy email you need to write wait until tomorrow. Even if you’re not working excessive hours, it can be draining to spend 6-8 hours working on your computer then another 5 hours using it later in the day every single day. Some people have a lot of success designating a specific room or area they go to for work and only for work. Others have an easier time when using a separate computer for work time than they do for leisure. Some folks still block their day into an organized “9am to 5pm is work time,” even when working from home, but for others that doesn’t work at all. I don’t have the luxury of having an extra workspace available, so I make sure to step away from the computer every now and then. Even if it’s just using my phone or a tablet elsewhere in the house to accomplish the same exact task I’d be doing at my desk, having some variety helps a lot. The discipline to work from home is a skill that needs to be developed; don’t expect to have it down perfectly from the start. Everyone eventually develops their own system that works for them, but it will take some time to adjust to.